Hello, thanks for joining us on our blog hop this month. 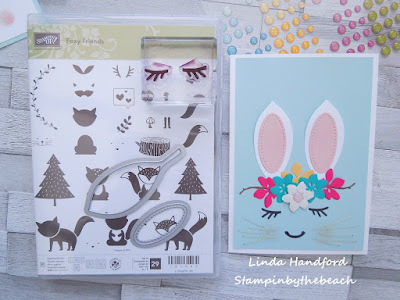 We are all Independent Stampin Up Demonstrators and hope to inspire you! My names Linda and I live on a small island in Essex UK. This month's theme is Spring/Easter, I decided to go for Easter. 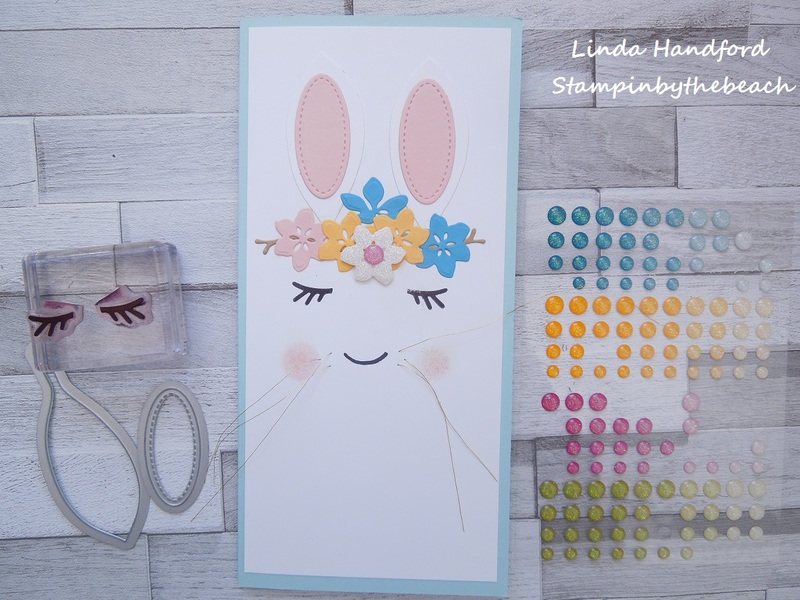 When I think of an Easter Card I always think of bunnies, I do not have any bunny stamps so had to think outside the box. 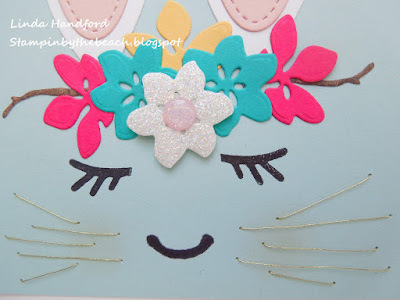 I love the unicorn cards, cakes you see on Pinterest and thought why not make a bunny card in the same style. This took quite a lot of brain power but I came up with a card in the end! I stitched some whiskers on this card. Using the Foxy Friends stamp set, I inked up the antlers for eyes. I think it worked really well, I did cut my stamp, but it is possible to do the eyes without cutting the stamp. 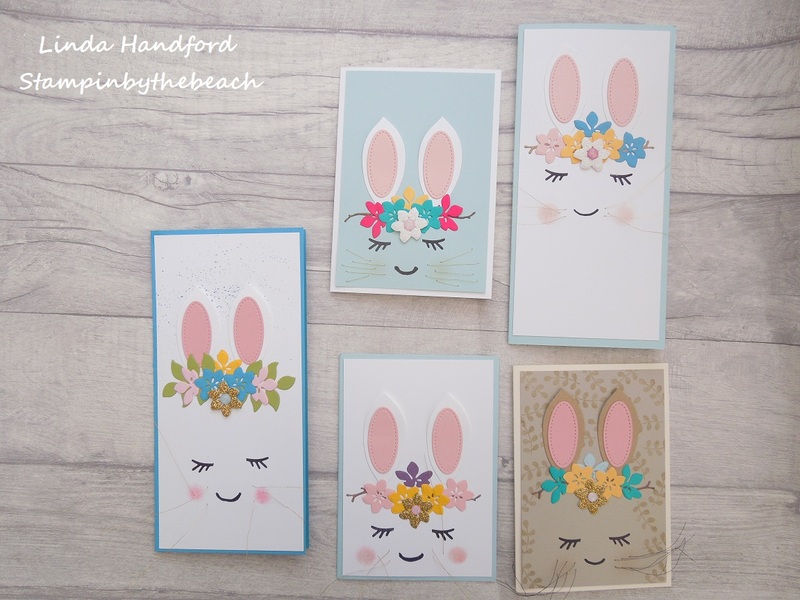 My bunnies ears were die cut using the Leaflet dies. Look at the bottom of this post to see my How to Make video! 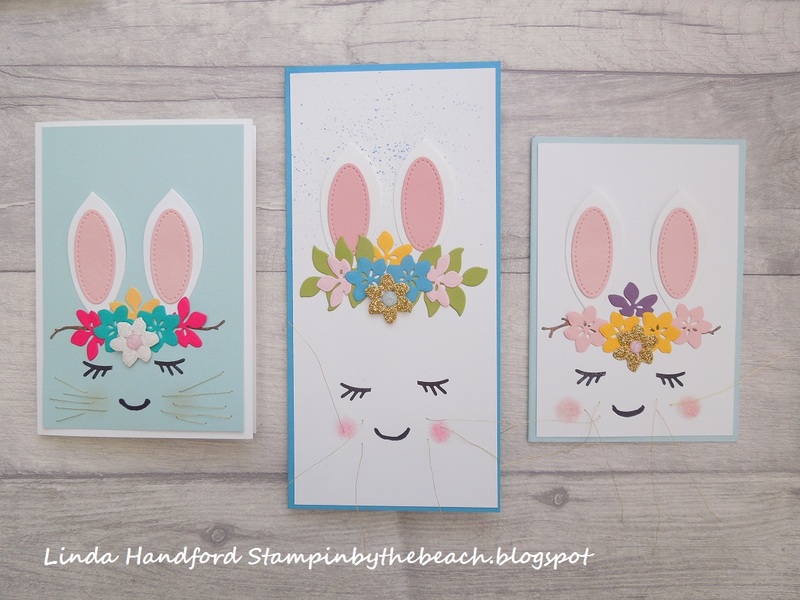 Hope you liked my card, don't forget to hop along with us, click on the next button to see Melissa Tennisons project, sure to be awesome.